Gooce+ is new addon for Firefox and Google Chrome, which allows you to put your Facebook and Twitter streams inside your Google Plus account. 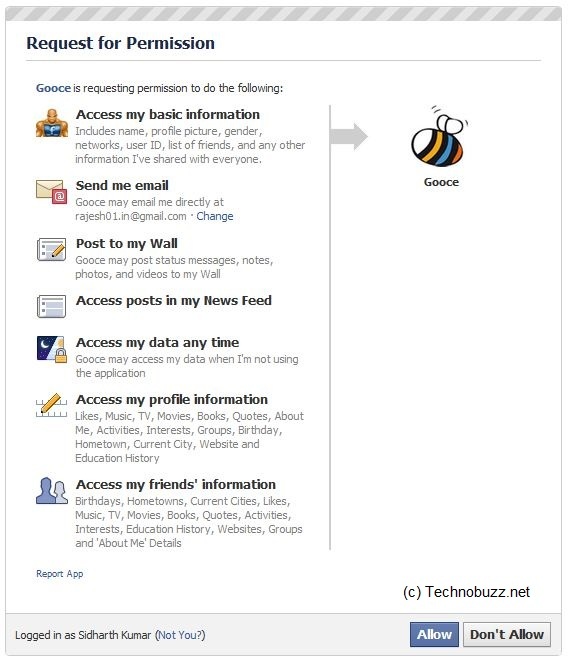 With the helps of this addon you can automatically post to Facebook whenever you share something on Google Plus. With the help of this free addon you can read and share all your Facebook, twitter and Google plus stream at one place. As it is a browser extension, getting it installed does not require more than a click or two. It shows all the news/information feeds from Twitter, Facebook and LinkedIn in a single, easy to use interface. Just download the addon for Firefox and Chrome, after the installation you can see the Facebook, Twitter and LinkedIn icon on the top bar of Google + Account. Now you have click on those Facebook and twitter icons to add those streams on your Google + Account. After that you have to complete the Authorization step to add those streams on Google + Account. Thats it, After that you can see Facebook and Twitter Streams on you Google + Account. 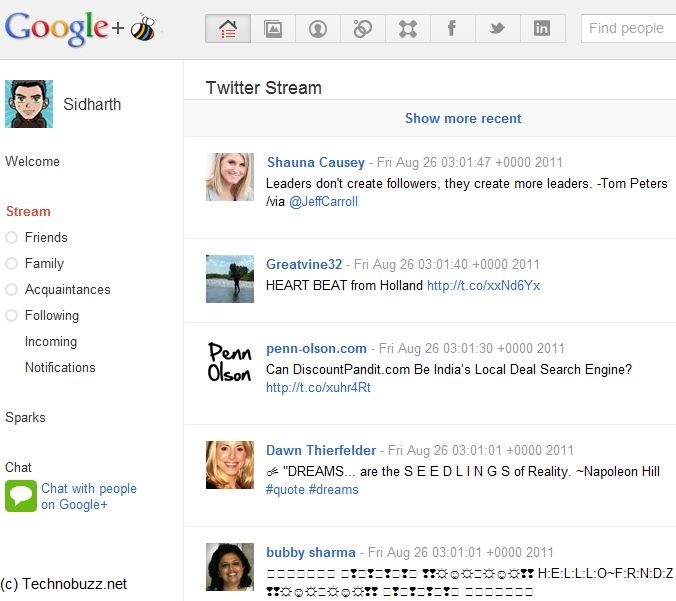 Hi, Gooce+ has integrated the Google Plus Search Extension and in the next days a new feature: The Extended Google Plus Share for Facebook and Twitter.